How many times can I reuse my flash chromatography column? Flash chromatography – a purification tool for both organic chemists and natural product researchers. This tool is essential when you need to remove impurities from your targeted product, or products, in order to get them pure. To reduce the costs associated with flash chromatography, some chemists try reusing the same column over and over, not always with success. A question I am frequently asked is “how many times can I reuse my flash column?” Although I have previously addressed this topic, I feel it is worth another look. In this post, I will attempt to address this question by providing a bit more science behind the cartridge reuse question. 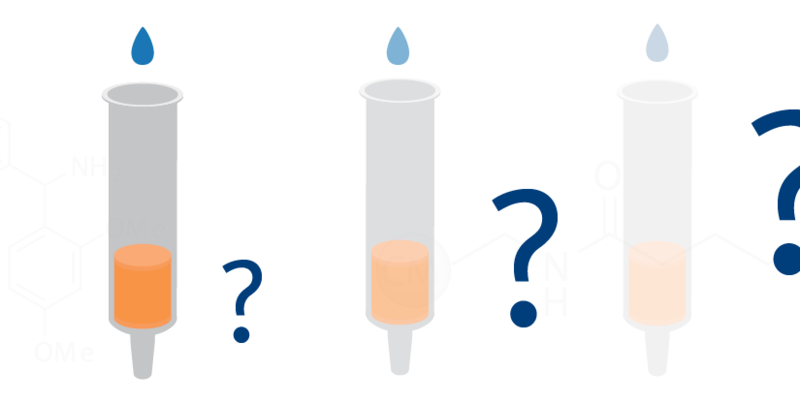 Continue reading How many times can I reuse my flash chromatography column? Posted on June 26, 2018 Author Bob BicklerCategories Flash Theory, User TipsTags adsorption, gradient, heat, isocratic, normal phase, polar, re-use, reuse, reversed-phase gradient, solvent, thermodynamics4 Comments on How many times can I reuse my flash chromatography column?